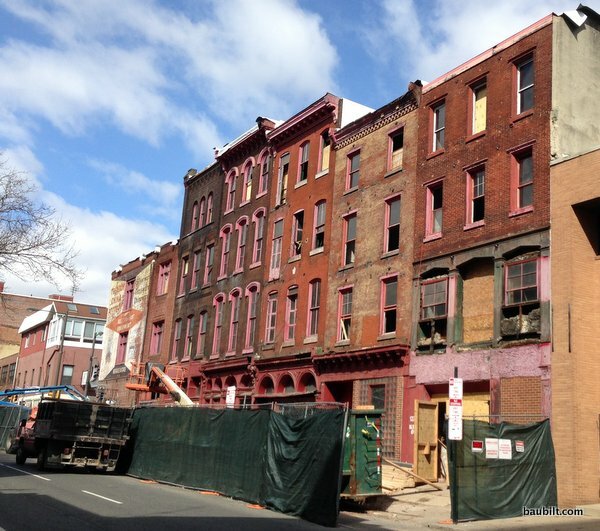 March 23rd, 2014 by KTU | Filed under Old City Philadelphia. 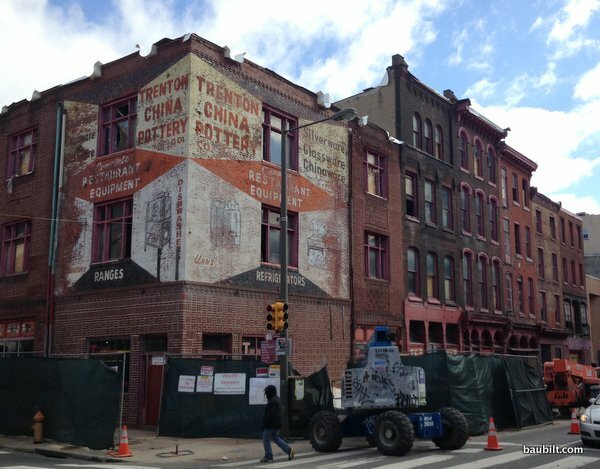 Trenton China Pottery was founded in 1927 and was one of a collection of restaurant supply companies that operated in Old City for a hundred years. Many are still in the neighborhood. Walking north on 2nd Street from Market Street you’ll encounter an eclectic mix of galleries, shops, restaurants, and restaurant supply companies. What’s going to be interesting about this project is to see how they treat the historic facade. I’m also very interested to see how they are going to get any light into the middle of this project. There is not very much exterior surface for windows relative to the volume of the block of buildings. The block of seven buildings that comprise the condo project.